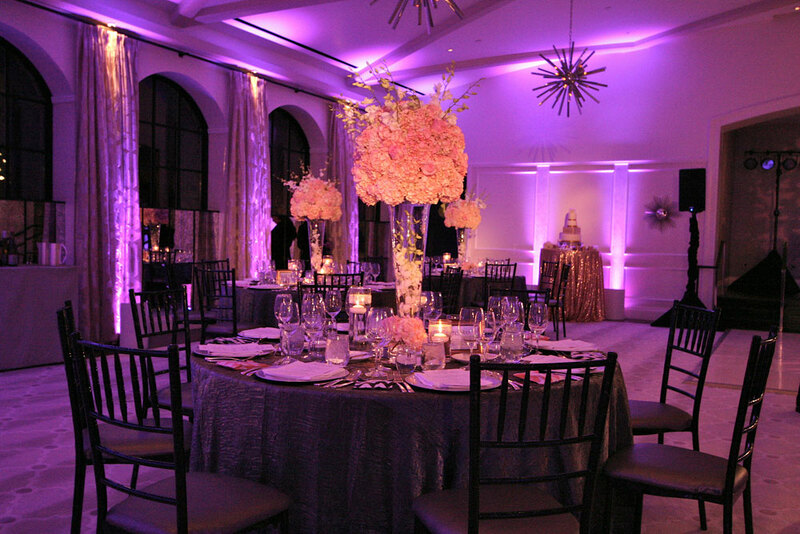 ← New 5 Star WeddingWire Review! 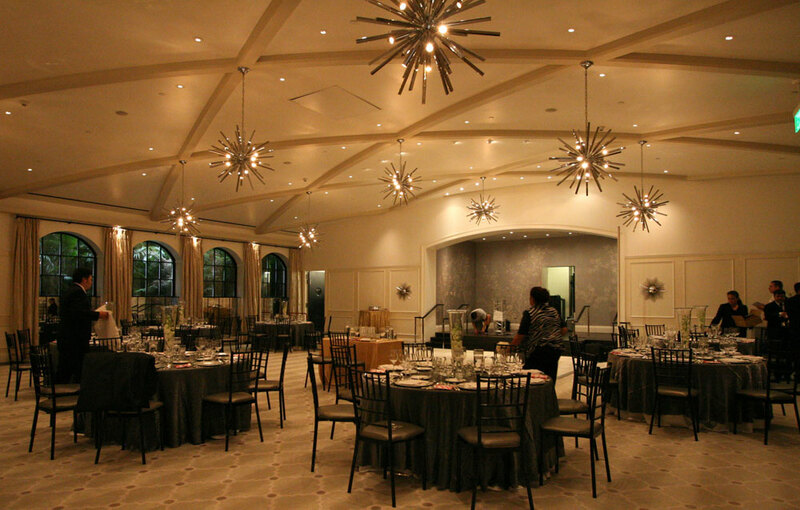 We had the pleasure of doing Regina & Jeffrey’s wedding at the Hotel Bel Air in Beverly Hills. 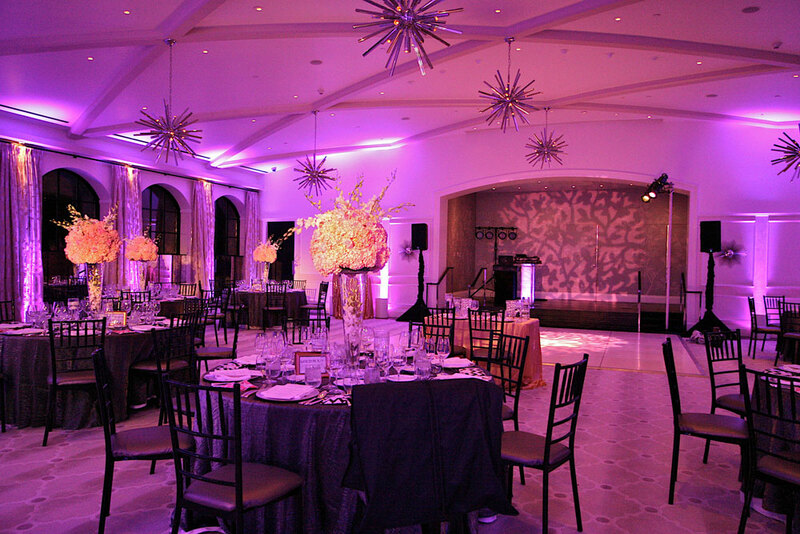 We provided the DJ and lighting. 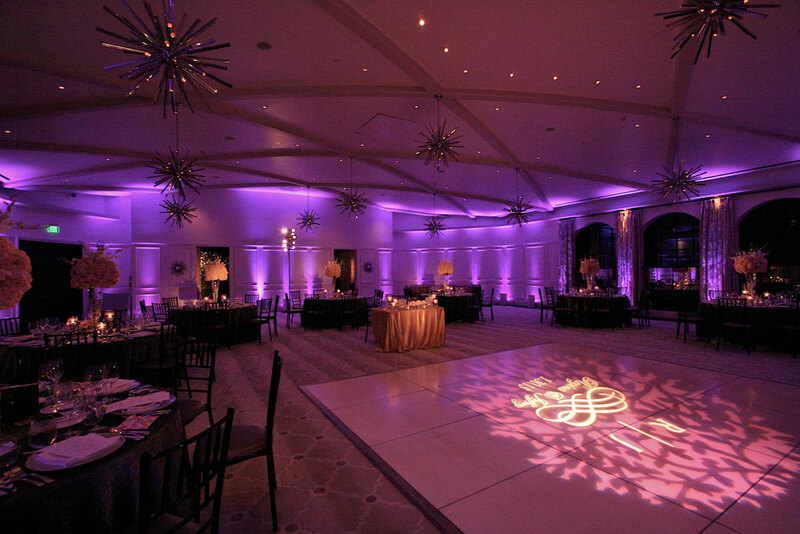 Our lighting consisted of wireless LEDs, a pattern gobo on the wall and dance floor, a custom gobo and pin spots on the centerpieces and cake. The photos below show the transformation of the room.